We are distinguished by a partnership approach to our clients, we eagerly provide technical support. SOLITECH is a production and design enterprise. The beginning of our company dates back to 2003. The main area of our activity was software and design of electronic devices, but in the course of time our offer has been expanded. Nowadays, Solitech company deals with: purchase of components, preparation and production of printed circuit boards, service of SMT and THT contract assembly, programming, testing, housing milling, mechanical installation, packaging, design of electronic devices and software development on demand. We provide services to both polish and foreign contractors from many industry sectors such as: motorization, telecommunication, industrial automation, biomedical electronics or high frequency electronics. In the beginning Solitech company had only one production line and our team was made of a few employees. At this moment our production is placed in a modern hall where we have two proffessional production lines consisting of such machines as: Siemens Siplace, DEK screen printer, SMT – Wertheim oven, Viscom Automated Optical Inspection machine, ERSA wave soldering machine. Our main objective is to maintain the progress which leads to constant investments in new equipment, universal machinery park and experienced personnel. Members of our staff are the people with passion and ambition who constantly are on pursuit of knowledge and new skills. Solitech is also a supplier of 1-, 2- and multilayer printed circuit boards. We take upon ourselves even the most demanding orders of PCB’s with any parameters (for instance: blind and burrierd vias or with impedance control) in all required quantities. One of the essential elements that characterizes Solitech Comapny is the design of electronic devices on request. Depending on the Client’s demand we can execute the whole process or take part in its particular stages such as: set-up of the device’s specifications, preparation of the scheme, designing of the printed circuit board, running of the device, writing of embeded software as well as computer software, testing, verifying of the CE and production. We follow the technological news in order to update our offer. The main aim is to invest in advanced equipment, machines and personal development of our employees in order to guarantee the best options for our potential clients. Our main goal is to constantly improve the quality of our services and goods as well as to quickly response to our clients’ needs. 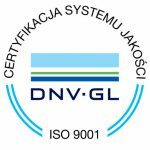 The ISO 9001:2015 Certificate implemented and acknowledged by the DNV GL unit guarantees high quality, stability and possibility of recreating the former production process step by step. We make every effort to provide the best quality of our goods as well as the best customer service. The quality control process of the electronic assembly in our company is based on the IPC-A-610F acceptance standards, whereas in the production of the printed circuit boards – on the IPC-A-600H acceptance standards. Every production batch is inspected in detail before it is delivered to the client. The boards offered by Solitech are free from the material flaws (24 months of warranty). We are known for our: quality, punctuality, professionalism, engagement and loyalty. As we take care of the environment, all the hazadrous wastes are utilized. 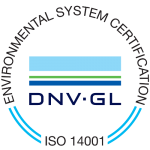 Almost 100% of our production is RoHS compliant. We do our best to save natural resources by designing enegry-saving devices. We are distinguished by the approach to our clients which is based on partnership. Solitech provides not only the general assistance delivered by the sales department, but also technical support from our engineers. That is why we developed the database on our website to enable the clients to find the answers to their queries connected with the electronic technology. Still designing of the electronic devices on request is one of the crucial elements of our offer. Sometimes we do not charge for the designing process in exchange for future cooperation. We guarantee immediate response to all enquiries for both small and batch productions. We do our best to maintain the highest quality in all our products as well as to keep the deadlines. We gained the trust of many clients from Poland and from abroad – and we hope you will also join us.